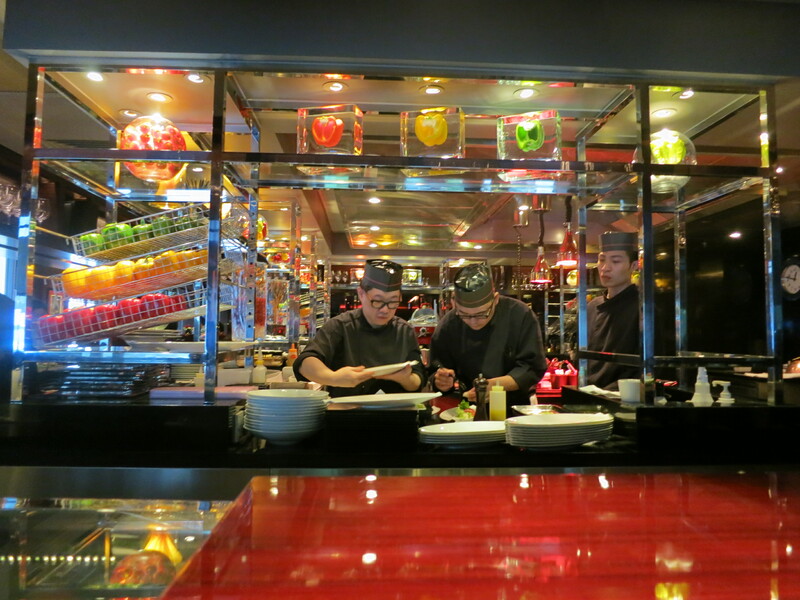 The Dim Sum Diaries | L’Atelier de Joël Robuchon | "One cannot think well, love well, sleep well, if one has not dined well." 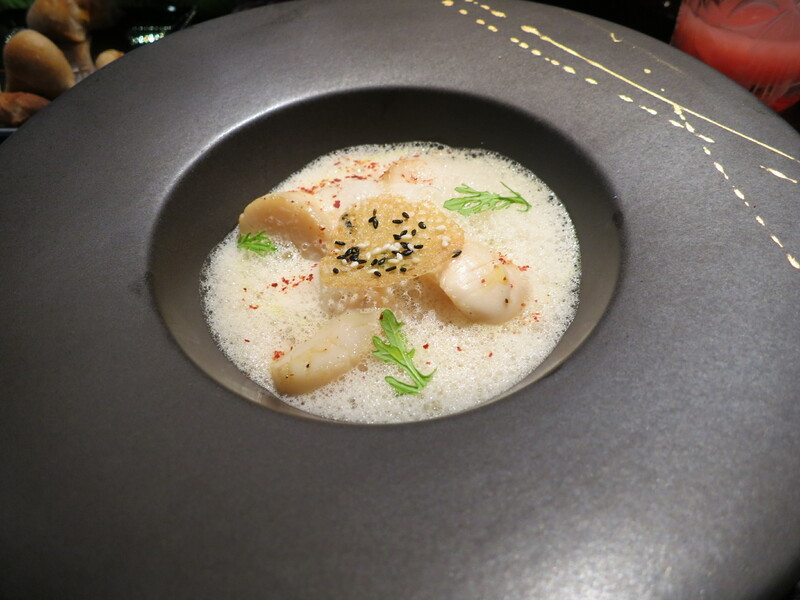 Whoever thinks five-course meals can only be enjoyed in the evening needs to go to L’Atelier de Joël Robuchon for lunch. Ignore the fact that you will without fail enter into a deep food-coma post lunch, as dining in this three Michellin-starred French resto is more than worth it. The restaurant is split into three sections: L’atelier, where diners eat around an open kitchen; Le Jardin, a beautiful dining room; and The Terrace, exactly what it says on the tin. We ate in L’atelier, a gorgeous room decorated with red velvet and dark wood, giving it an elegant and chic look. From wherever you’re seated, you can watch the skilled chefs, led by executive chef Olivier Elzer, prepare your meal with utter passion and precision. 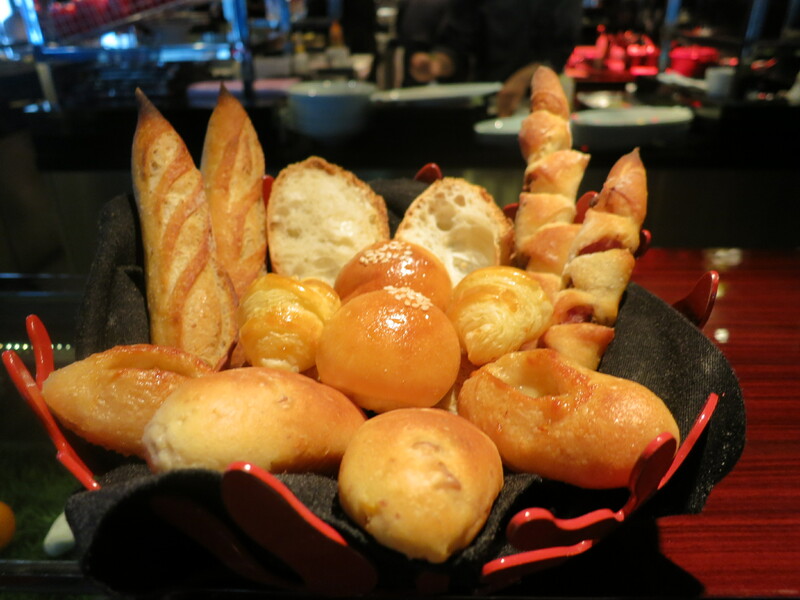 At Robuchon, they have thought of every little detail, where even the bread basket seriously impressed me. Provided you ask them in advance, they can also make some incredible gluten-free bread. I was almost full from the delicious bread and lobster amuse bouche before the real meal started! 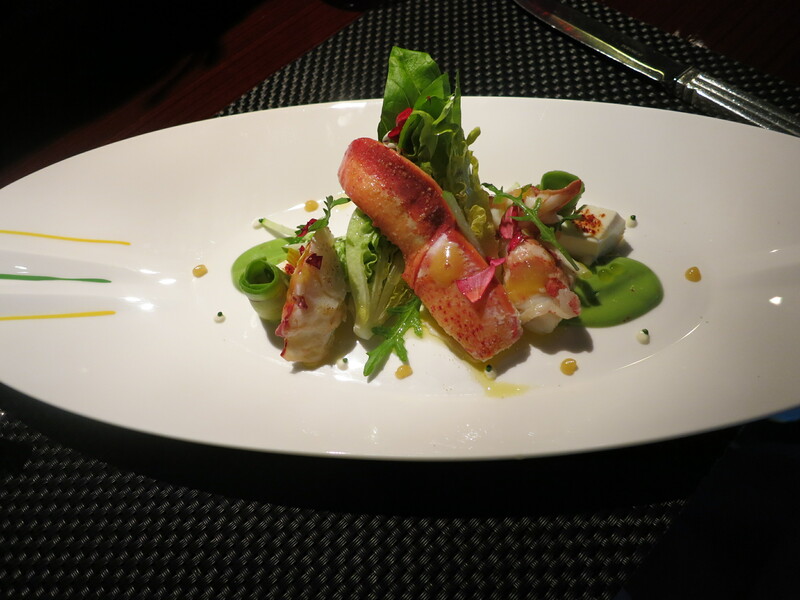 Moving on to the starters, the Maine lobster salad was just perfect. Each morsel of lobster was wonderfully meaty, complemented by the variety of other textures at play: creamy avocado coulis, soft tofu, crisp lettuce and buttery fresh avocado. I was in lobster heaven. 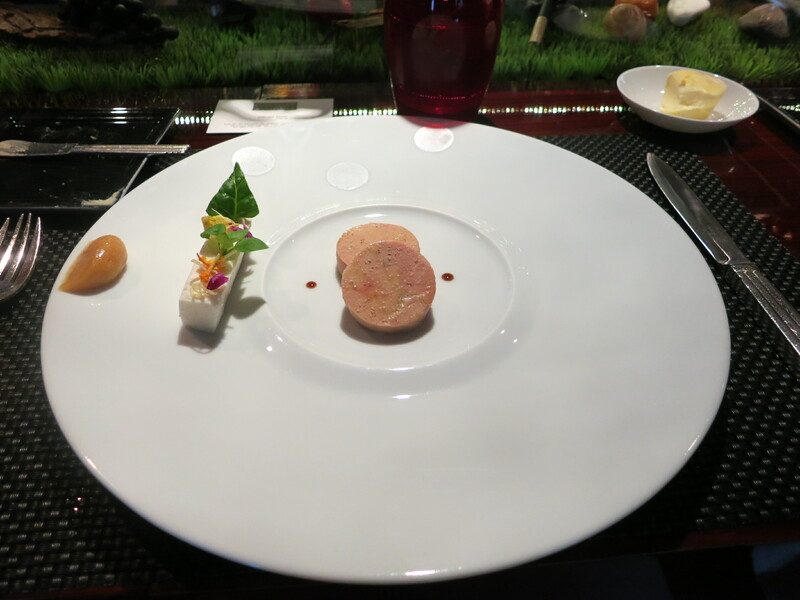 The foie gras was equally divine and so amazingly smooth. Paired with lemon foam and lemon marmalade, one bite of this made you want to close your eyes and revel in the moment. We both turned down the cauliflower soup and tried the chicken broth. I would certainly not call this a broth, as it was thick and creamy, but I would most definitely call it delicious. 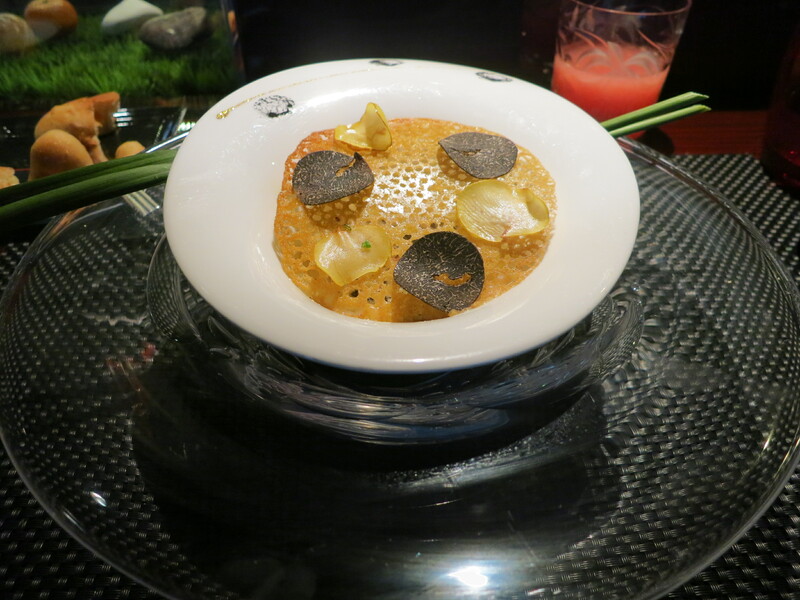 Not only was there an amazing Parmesan crisp topped with black truffle atop the soup, but in the depths of the broth were more black truffle surprises. 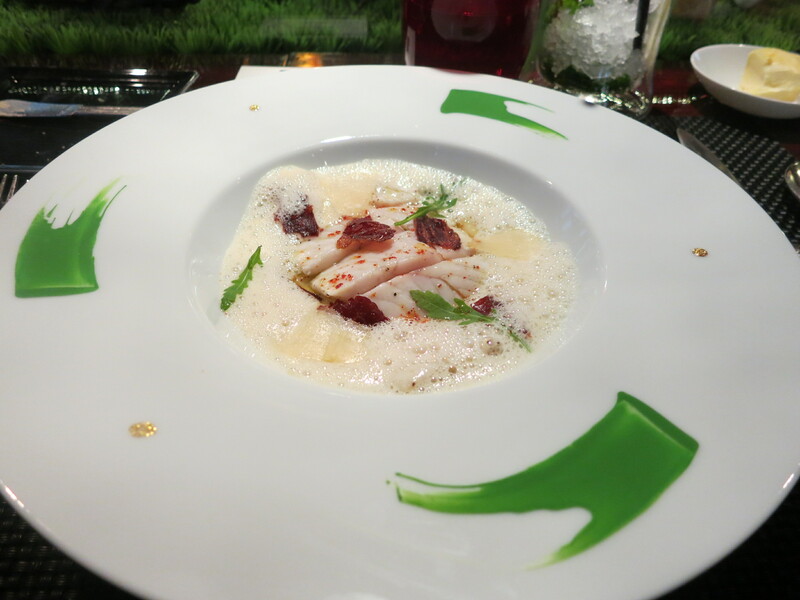 Moving on to the seafood course, the grilled sea bass with Parmesan cheese foam, artichoke puree and Wagyu beef crisps was heavenly. I’m normally not overly impressed with ‘foam’ in dishes, but this really wowed us and truly brought out the delicate flavours of the fish. Even better, however, were the pan-seared scallops with ginger and fregola pasta. The scallops were cooked to bouncy perfection, contrasting wonderfully with the nutty, almost couscous-esque fregola pasta. Turkey is something I usually reserve for Christmastime; it’s not the most exciting of meats and can often be dry and dull. 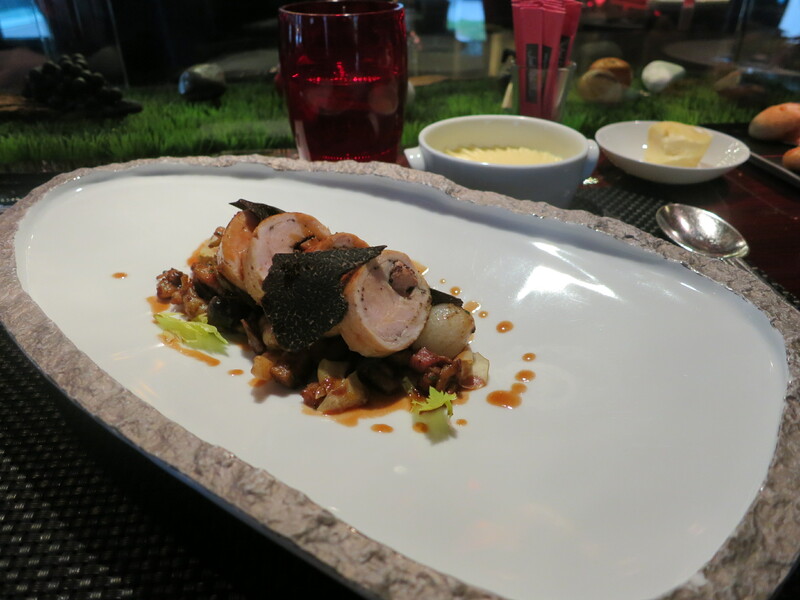 This turkey stuffed with foie gras, served with chestnuts, pancetta and black truffle, however, was far from dull. 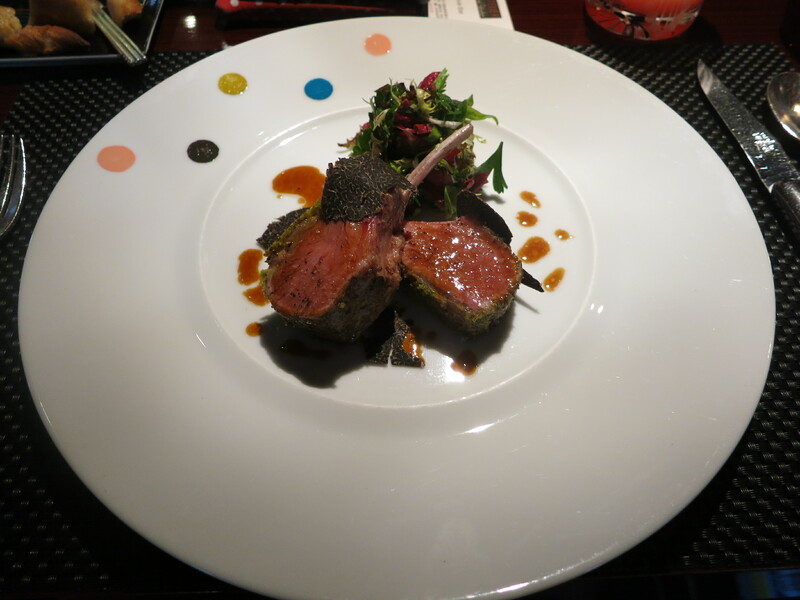 The winning dish for me was the rack of lamb: perfectly tender and pink with a delicious herb crust and of course more black truffle. 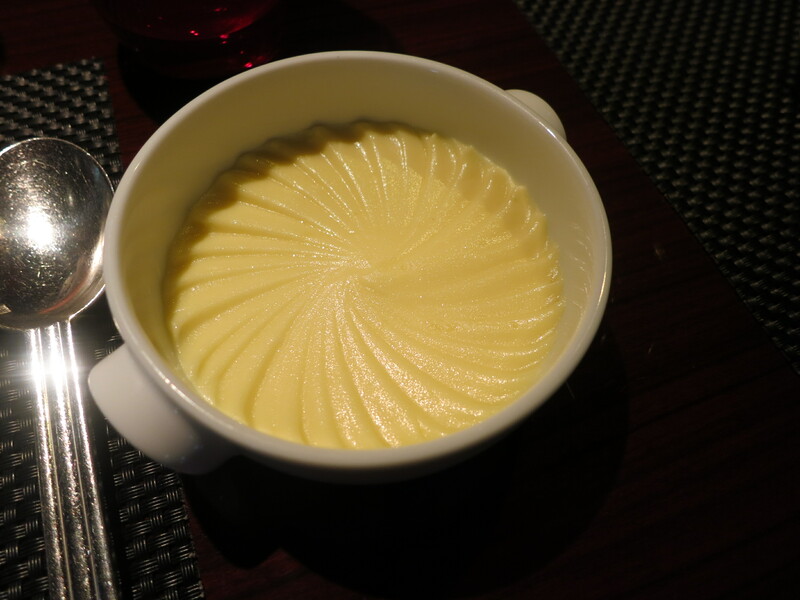 Both dishes were served with a bowl of the creamiest, most incredible mashed potato you ever will taste. Mix in the black truffle and you will want for nothing more. There was somehow still space for dessert, both of which were gobbled up within seconds, regardless of how full we both were. La Citronelle, a beautiful medley of lemongrass ice cream with citrus fruits, lemon cream and cassis coulis was refreshing and light, the perfect end to a super rich meal. Le Chocolat Tentation was the opposite of light but I’m definitely not complaining. Chocolate cream, topped with chocolate cookies, chocolate ice cream and dark chocolate – this is any chocolate lover’s dream. 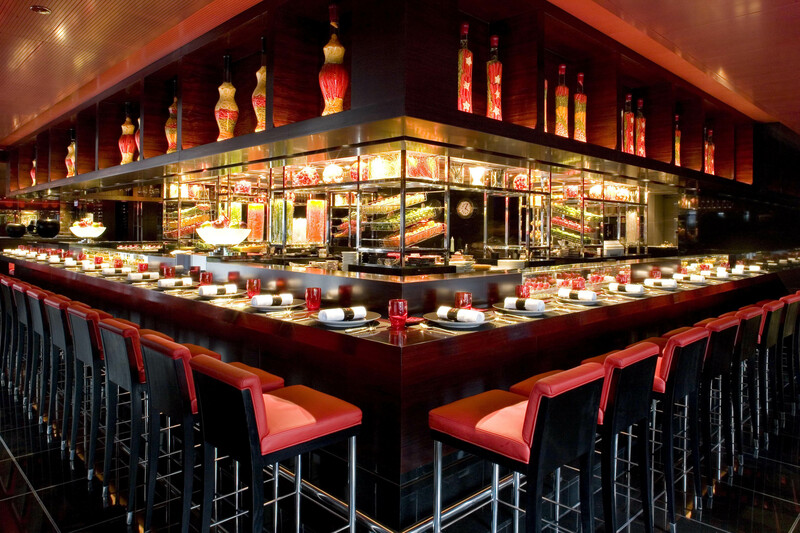 A five-course meal at L’Atelier de Joël Robuchon will set you back $688. Granted it’s not a cheap lunch, but for an excellent three Michellin-starred world-famous restaurant with superior service and quality of food, I actually don’t think it’s too unreasonable. There are also three-course and four-course options, but trust me, you’ll want to eat as much of the menu as you can possibly manage. Just make sure you save a tiny corner of stomach space for the petits fours. I know, I’m so glad I finally got to try it! Such delicious food! Really nice photos for an amazing restaurant ! Hey, last time I tried the tasting menu with my friend and the price performance wasn’t that good. The mini Wagyu burger and scallops was good, but I don’t think it was worth the price (we paid around 1000/person that night). For that price, there are many other choices out there. Maybe we should have tried the normal menu instead……I’ve actually been to the L’atelier at Las Vegas, which I think is better than the one at HK! Hi there, sorry to hear you didn’t have a great experience. It is definitely an expensive restaurant, but I think you will in part also be paying for the excellent service as well as its three Michelin stars. I usually find going a la carte is better than a tasting menu, so if you can find it in you to go back then maybe try that next time?! 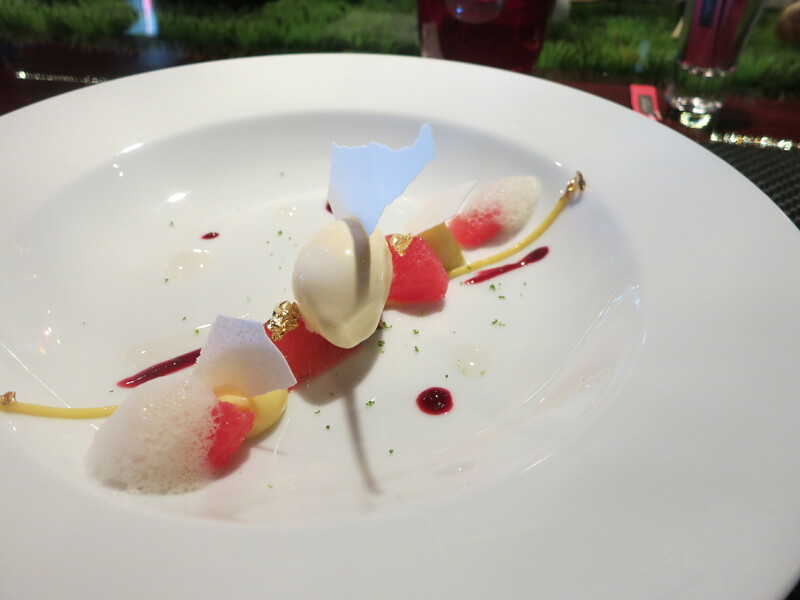 Love, love, LOVE Robuchon! We haven’t hit L’Atelier yet but if its anywhere near the ‘usual’ standard of his restaurants, then we’re in for a treat. I would go time and time again to eat the bread…droooool. It’s the only one of his I’ve been to and I’ve actually heard that the others are even better! Definitely give it a try and see what you think. Obviously it’s a pricey one, which is why lunch is a good option as you still get the same level of quality and service without breaking the bank quite so much! Robuchon in Macau (the one in the dome) is superb!!! 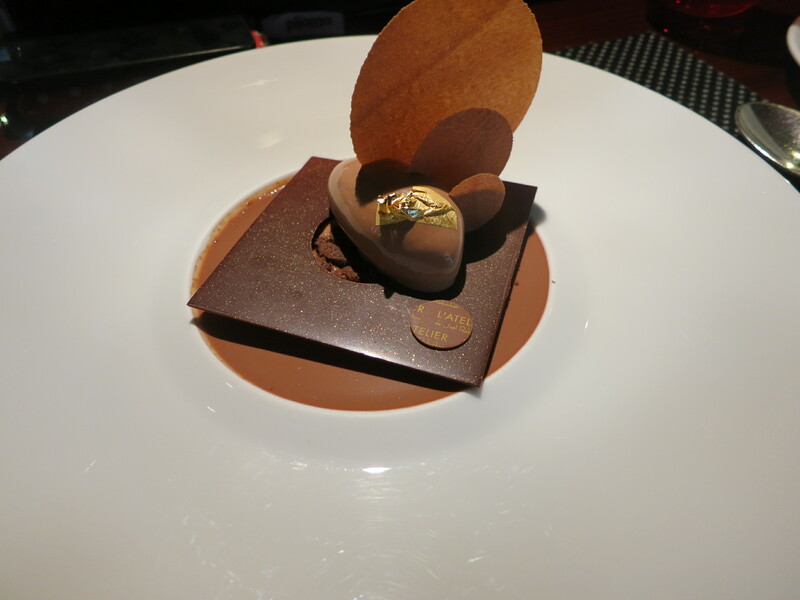 The Singapore one took the cake though – the food was the same stunning quality but the particular service we received there was the stuff of legends. We’ve seriously considered kidnapping Rubes and keeping him our house to cook and host for eternity, hahahaha.